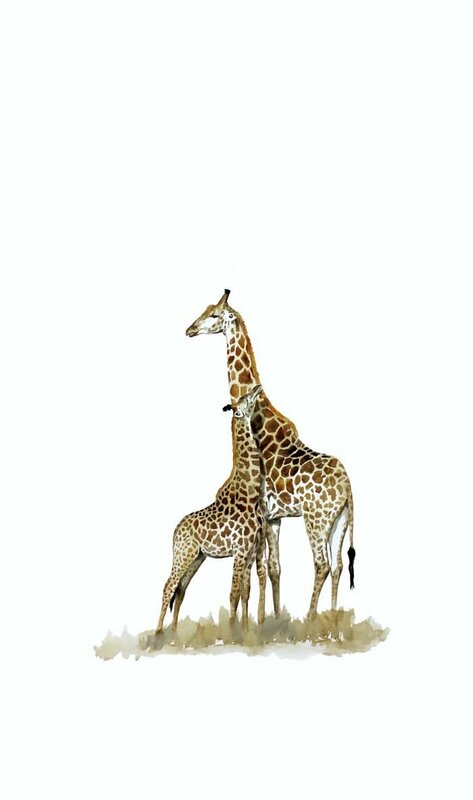 Original watercolour painting of a giraffe and her young foal. 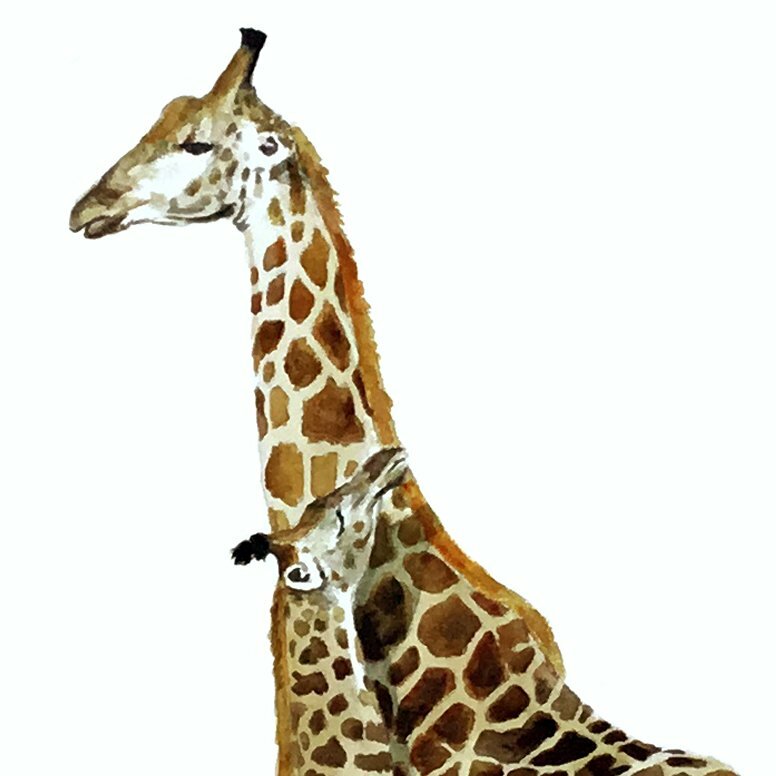 Painting of a giraffe and foal. 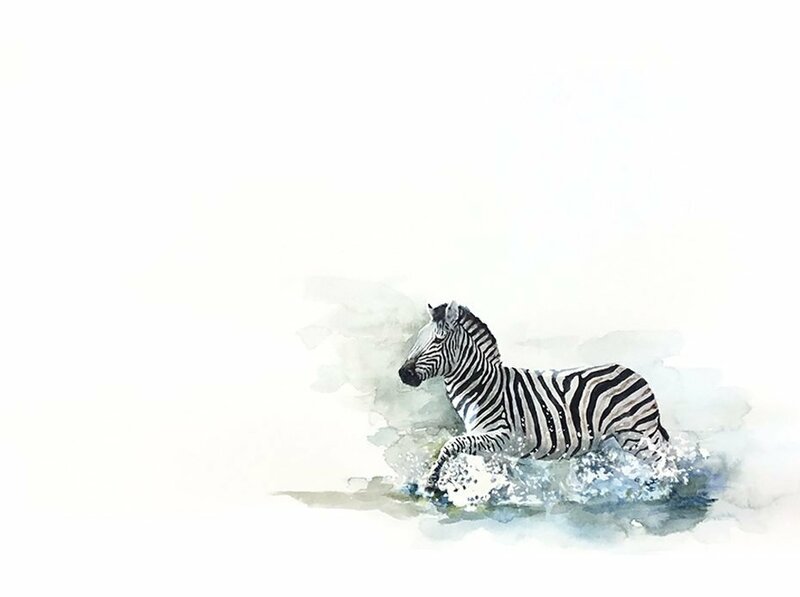 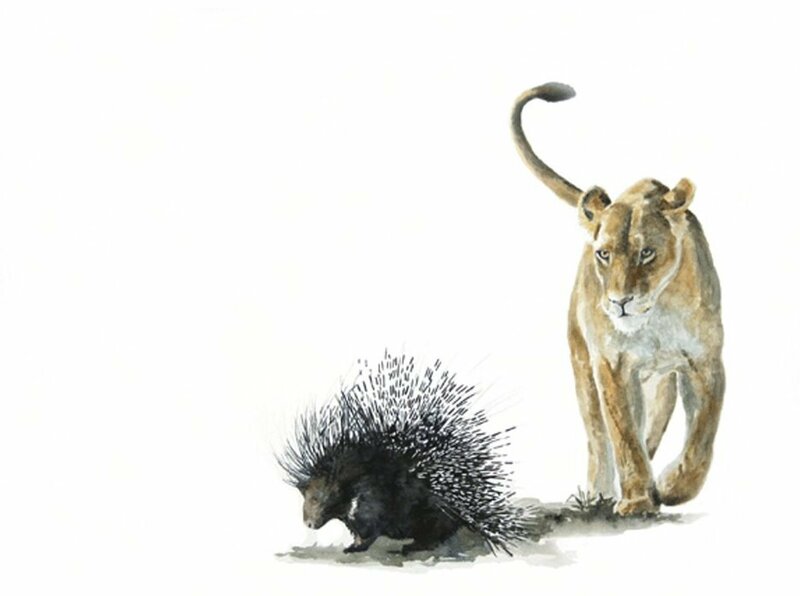 Original watercolour watercolor wildlife painting of a zebra splashing through dazzling water, by renowned South African wildlife artist, Sue Dickinson. 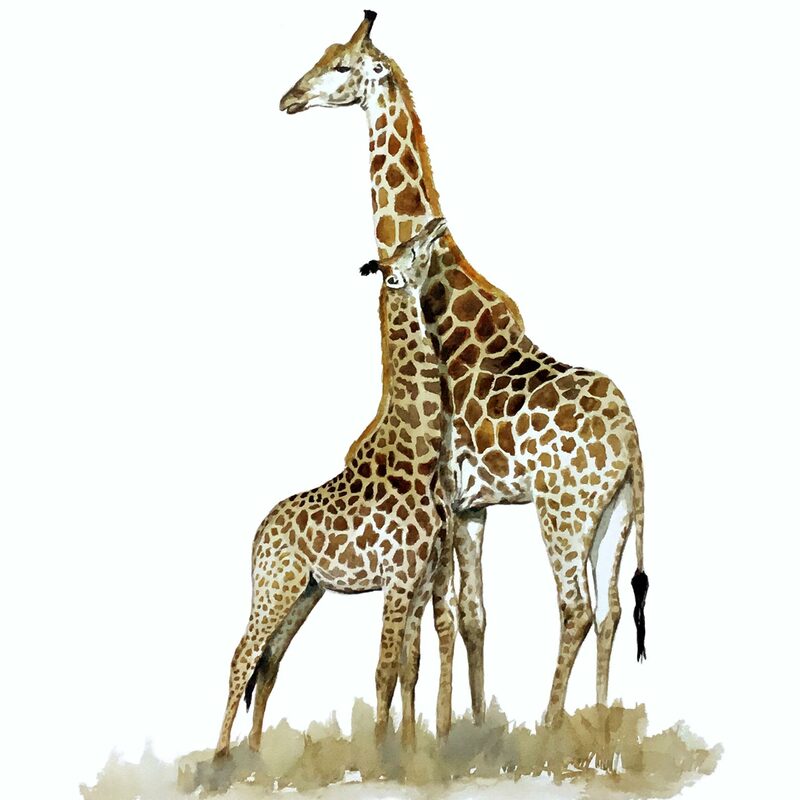 The giraffe is the tallest animal in the world, attaining a height of 5.5m, its incredibly long neck accounting for much of its height. 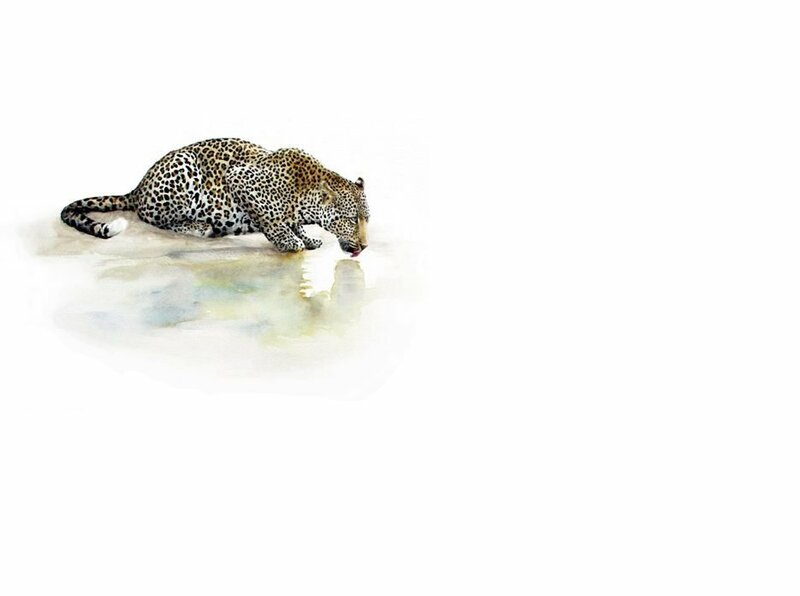 The long neck has resulted in a complex blood circulatory system, which is not yet fully understood by zoologists.